There have been a handful of times in my life in which immediate death seemed all but confirmed. The worst instance was my last plane flight home – the nine-hour bullet from Shanghai to San Francisco. Anyone else who has done that flight knows that it entails nine hours of reconciling with the Maker. More recently, the ATM across the street has taken on the appearance of the grim reaper. I’m sure most Nanjingers can agree with me on this one. 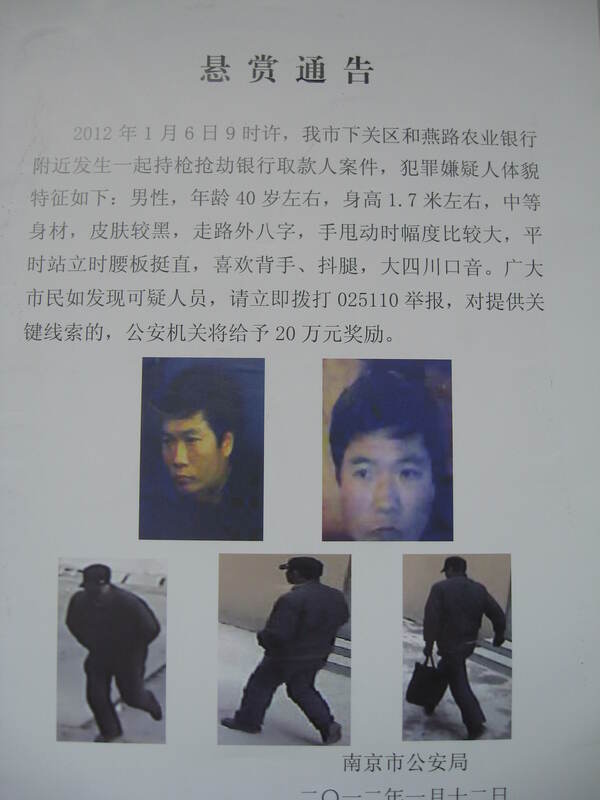 Police are calling him a serial killer, connecting this murder to a previous seven in the cities of Chongqing and Changsha. There is admittedly no evidence to confirm his identity, and as such he has been loosely named “Close-Crop Man” (“平头男”). At about 40 years old, five-and-a-half feet tall, with a dark complexion, black clothes, Sichuan accent, and a sauntering (“split”) gait, he hardly stands out in a crowd. See the Chinese report here, or China Digital Times’ report here. 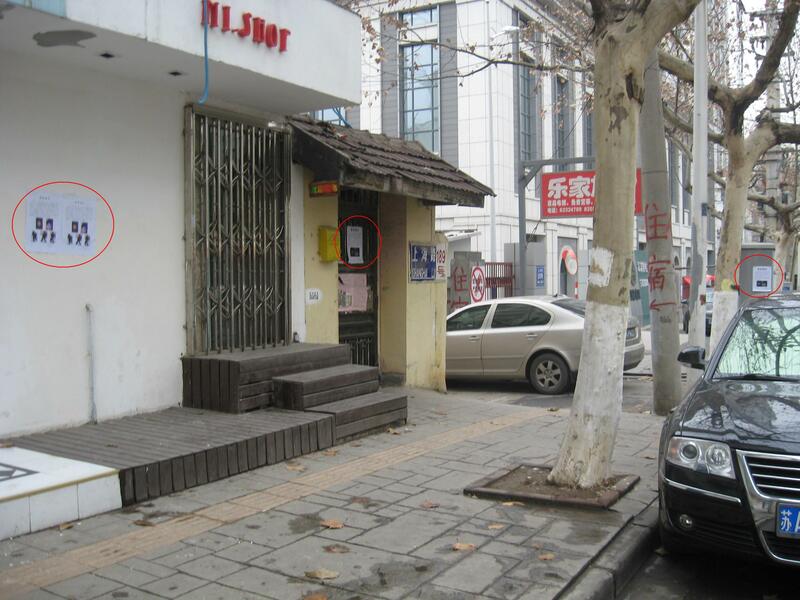 Given that you can only pay in cash in China, it was necessary for me to access the ATM a few days ago – five days after the last ATM murder. A girl friend accompanied me to that Construction Bank, all the while acknowledging that she would be useless if the armed killer showed up. Having a skewed sense of reality lends to unwarranted confidence in the face of danger. This time, it inspired the opposite; my hands started to shake and desperately paw at the money dispenser. The serial killer had arrived: dressed in all black and advancing at a saunter, the middle-aged, stony-faced Han male with close-cropped hair was already shooting me dead with his fixated stare. I was instantly glad that I looked foreign. 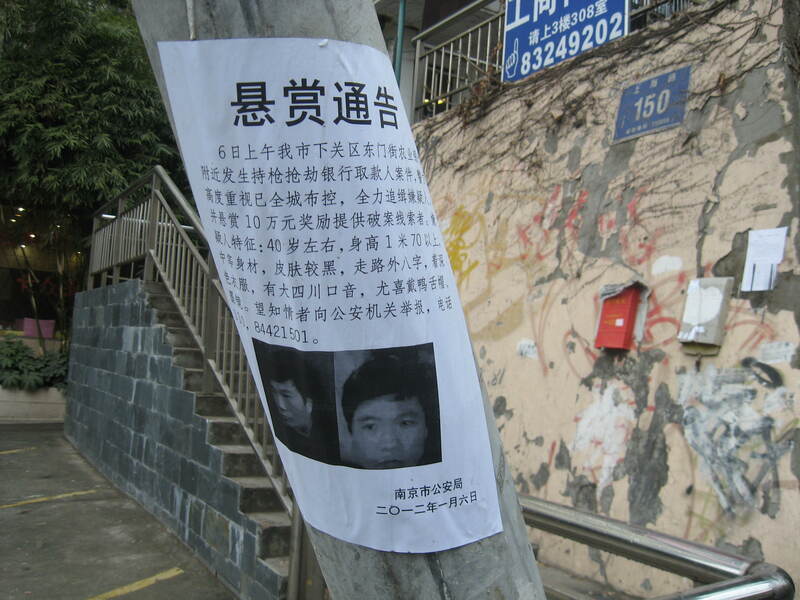 Also, I was only taking out 1000 RMB – hadn’t the last kill been for 20,000? I shoved the money into my wallet and zipped my purse elaborately. If he saw that the money was not handy, maybe he wouldn’t bother. I grabbed my friend and ran for the door, but the ATM security system had me beat: I would have to press the button next to the sliding glass door, just in front of the killer, to get out. I punched the release button and hustled past him, his eyes trailing us down the ramp. My neighborhood is now plastered with Close-Crop Man’s face. 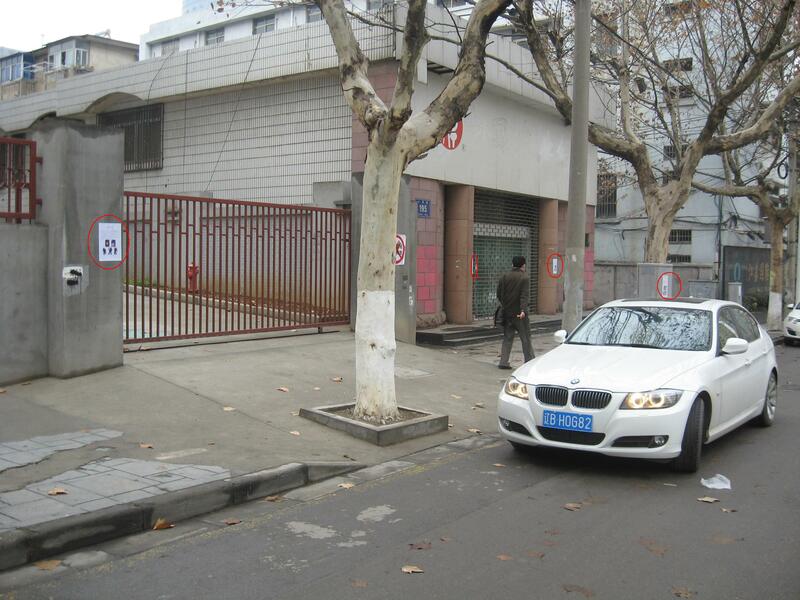 I took my camera for a walk down Shanghai Street just to capture how inundated we now are with his presence. Two posters next to one another. Below, all the posters in each shot are circled in red. 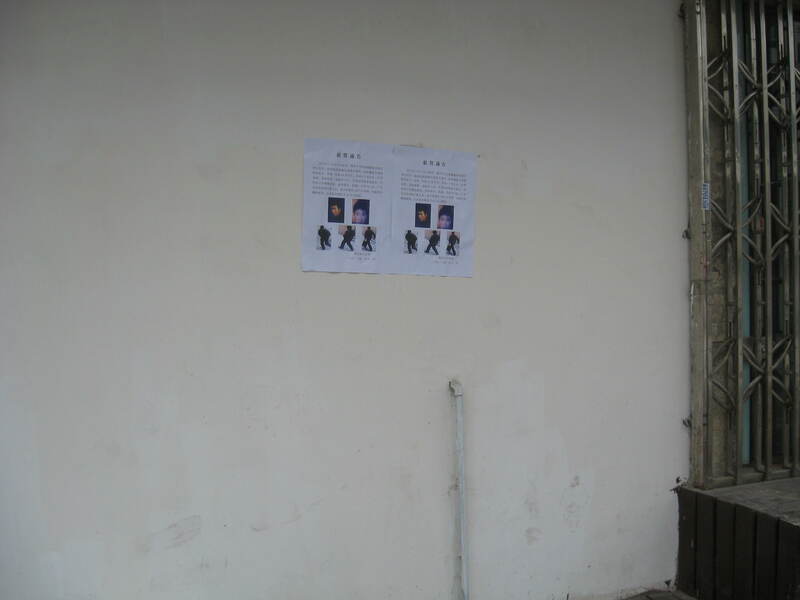 Six posters at the Yunnan Bei Lu bus stop. Four posters in sight; one hundred meters from the bus stop. Four posters in sight; two more around the corner. Quote sourced from Seeing Red in China. See original on qq. 14 Jan	This entry was published on January 14, 2012 at 11:22 pm. It’s filed under 中国特色 and tagged Chinese media, laowai life. Bookmark the permalink. Follow any comments here with the RSS feed for this post. 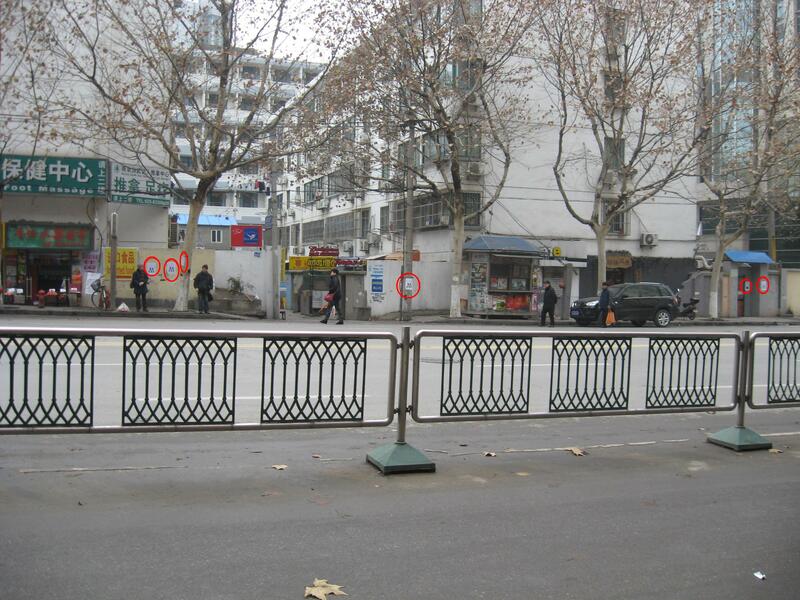 I was counting posters walking up shanghai lu the other day too. My suspicion is he’s not in Nanjing anymore.